The developers of Android have pampered android users in terms of flexibility and customization. Yes, it is true that Android users are able to enjoy many customization and optimization options. 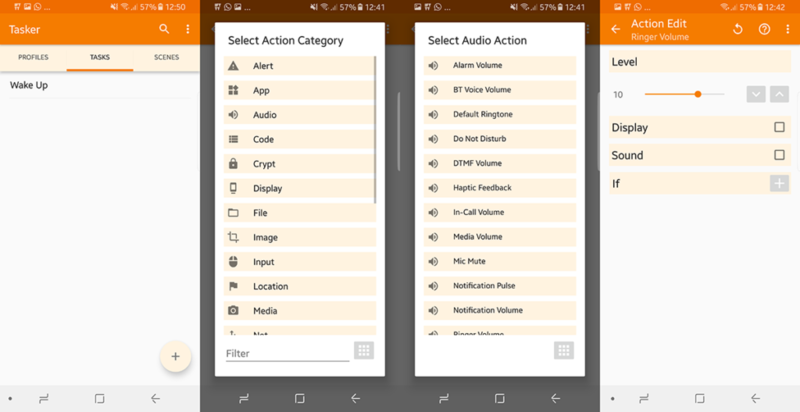 Similarly, Tasker android app allows users to automate the functions of the phone. An amazing app lets you set up various functions to automate the features of the android phone. Tasker app is powerful, lets you multiply the task control, and provides the ultimate experience for the advanced users. Android JV will let you know how to use Tasker Android App to enjoy being an Android user. Tasker free download is not available on Play Store. to avail Tasker`s features, you have to pay $3.99 otherwise avail the trial on the website for 15 days to use Tasker`s interface. Tasker app offers a very versatile interface and you will surely be overwhelmed with its easy to use and simple accessibility. 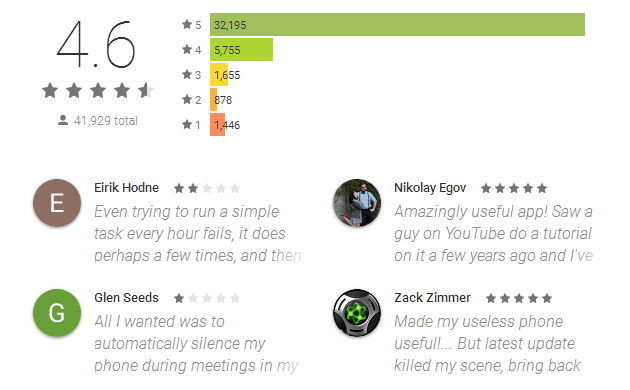 Remember that Tasker app is not so easy but offers prebuilt customizations for its users. However, you can explore and go deeper by building profiles and defining the functions to your device. After installing the app, you can get instant access to the beginners’ mode. Users can access Profile, assign Tasks and can set Scenes. All you need is to Tap on the (+) for the desired action. To save and exit press Back arrow button present at the top left of the screen. Click Here To Download Tasker App. You will find the Profile as a first tab in the main menu which is actually the base of the app. So click the + button and assign a specific name by pressing Tick button. Tap in the + sign to add various actions to be performed under the task. Above two lines are only telling the Tasker app to perform the action but not specifying the time. So, press Play icon to execute the tasks or you can add it as a widget on home screen. Tapping on the widget will start the task. It is important to link the tasks with Trigger to complete the automation process. For this, we have to build a profile. How to build a profile? Being a Tasker you can create various profiles depending upon the tasks you intend to do. Under the Profile tab, select the service and app you want to perform an operation on. Just click on the + present at bottom right and select the context. Create the actions to trigger when you wake up by clicking on the + icon. If you want to set the variable wake-up time then select the actions to trigger when you wake up. Tap on + > Event > Date/Time > Alarm Done. Then select the task that is created in Step 1. The event will trigger so that you can set any time and these tasks will run each time. How to create a scene? 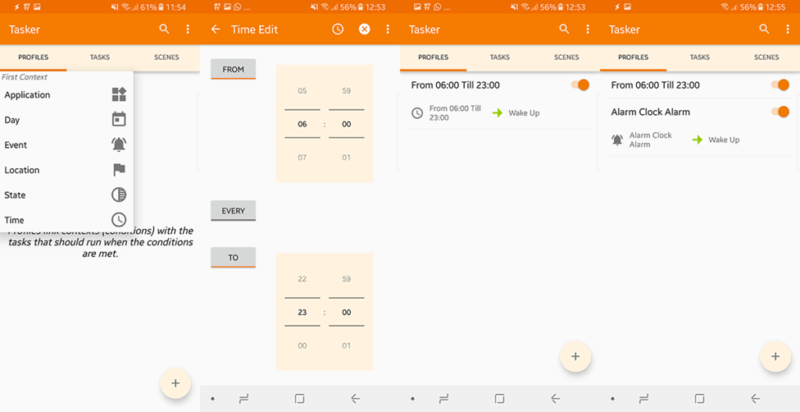 Creating scenes in Tasker app is simple. You can create pop-up dialogues with the interface of your choice. To create a new scene press the + icon. 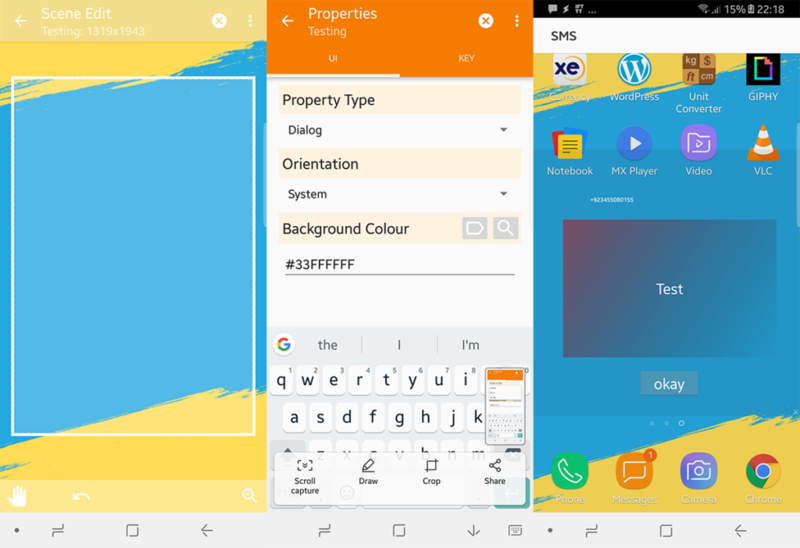 Tasker app will create a scene and lets you adjust the size with overall screen. You can also adjust its color, and add various elements. To close the scene press “Done”. If you want to add any text then click + > Text. Tasker app does not damage your phone and lets you play freely with various Tasker configurations and settings. The best app lets you create apps and enable you to use custom service via Tasker app. Download it now and stay connected with Android JV.